The suspect was captured and detained by Good Samaritans until police arrived. 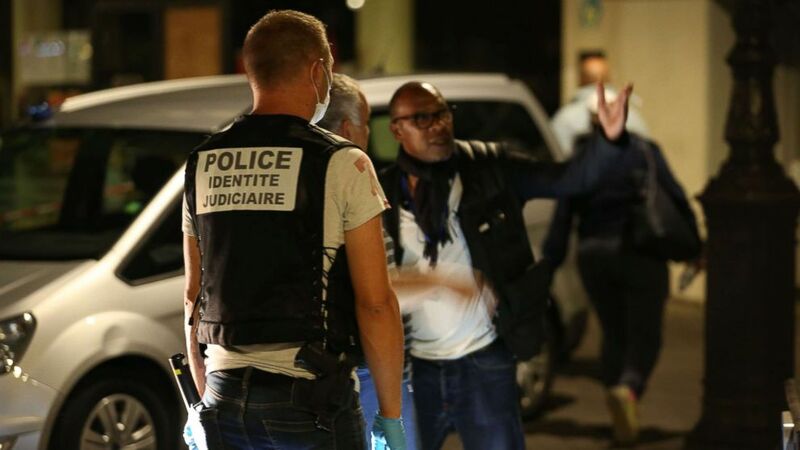 A man wielding a knife and an iron bar went on a stabbing spree on Sunday night in Paris, injuring seven -- four of them critically -- before being captured by Good Samaritans and arrested by French police, a spokesperson for the French interior minister told ABC News. The attacks took place in northeastern Paris in an area dotted with cafes, cinemas and other cultural venues. Two British tourists were among the victims, Paris police officials said. Victims were rushed to nearby hospitals in the French capital. 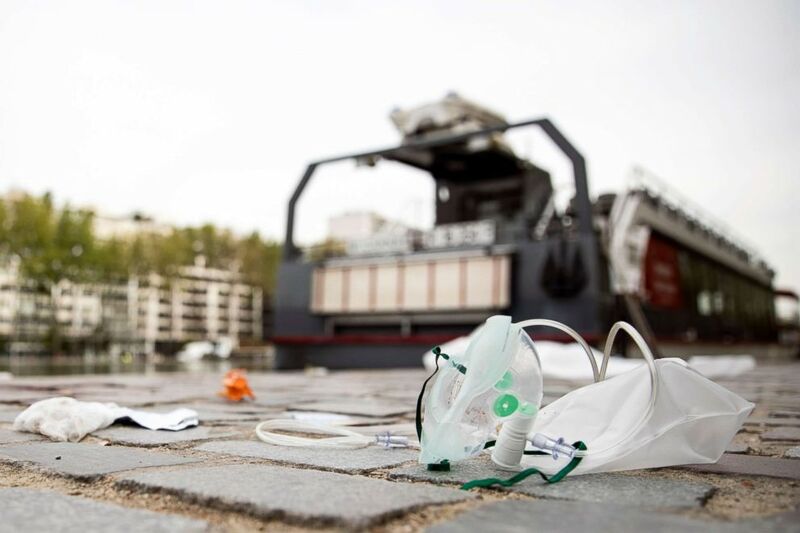 (Etienne Laurent/EPA via Shutterstock) Discarded medical equipment is seen at the scene of a knife attack that happened in Paris, Sept. 10, 2018. No terror investigation has been launched in regard to the attacks, a Paris prosecutor's office spokesperson said, but an attempted murder probe is underway. (Gonzalo Fuentes/Reuters) Evidence markers sit on the pavement after seven people were wounded in a knife attack downtown Paris, Sept. 10, 2018. They threw their petanque balls as he was trying to stab people in the street. French authorities have not released the assailant’s name, but local media are describing him based on witness accounts as an Afghan citizen in his thirties. (Gonzalo Fuentes/Reuters) Police investigators work on the scene after seven people were wounded in knife attack downtown Paris, Sept. 10, 2018. 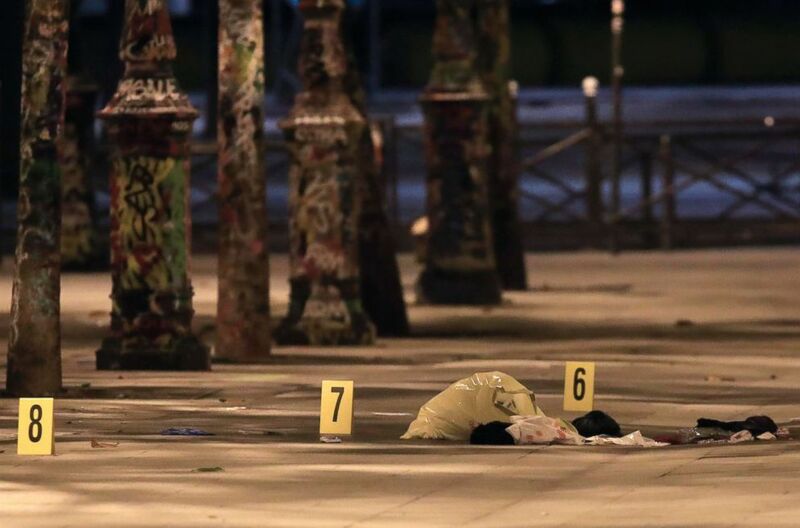 Among witnesses at the scene of Sunday night's attacks were a group playing petanque, a French game with heavy metallic balls, who sprung into action when they saw the attacks unfolding. One of the petanque players told a French commercial radio station, "I managed to jump on him and throw him to the ground and get his weapon off him." 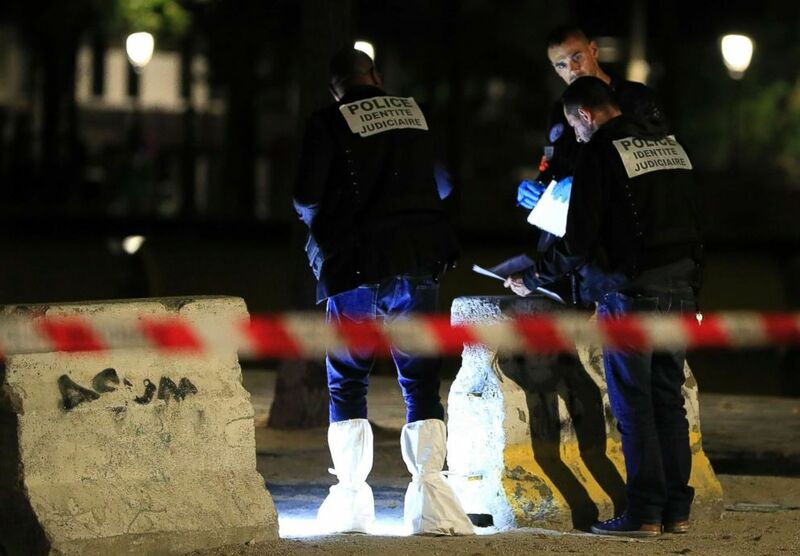 (Zakaria Abdelkafi/AFP/Getty Images) French police investigate the scene where a man attacked and injured people with a knife in the streets of Paris on Sept. 9, 2018. The man, identified only as Smain, said that the attacker sustained several blows from petanque balls, iron bars and sticks. “They threw their petanque balls as he was trying to stab people in the street,” he told the radio station, adding that the assailant was overpowered and pushed to the ground until police arrived and arrested him.